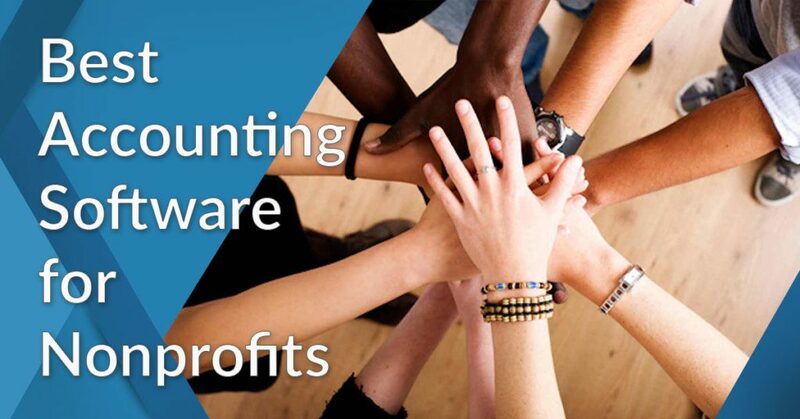 What is the best accounting software for nonprofits? The best accounting software for nonprofits is Quickbooks Enterprise as it provides them with industry-specific tools to manage their financials better. These features include generating and tracking of receipts for both pledges and donations. It also has powerful reporting capabilities that allow users to identify an organization’s largest benefactors. The system can also monitor expenses, enabling nonprofits to present accurate reports to their sponsors. Running a nonprofit is a very fulfilling undertaking, knowing that you are helping make the lives of individuals and families a little better. For many people, doing charitable work gets them going, drawing inspiration from the possibility of helping bring about social change. But amidst the noble things that go with the job come the cumbersome but critical part — accounting. Just like businesses, nonprofit organizations thrive on cash flow, without which, organizations and their missions face the possibility of failure. Not all accounting solutions are designed for nonprofits for sure. In this article, we will present the 20 best accounting software for nonprofits capable of helping you manage donors, grants and expenses and using industry jargon. Their features, functionalities, and prices will be discussed in detail. What is the 20 best accounting software for nonprofits? Accounting is a critical part of nonprofits, a way by which to organize, record and track both donations and donors. All transactions linked to money have to be accounted for as they impact organization’s financial statements and frankly, their viability. Now, there are vast differences between nonprofits and businesses, which affect the way they do accounting. This is precisely why nonprofits need to use software that can provide them with what they need. These tools allow for online donation/grant payments, tracking, invoicing, tax compliance and efficient record keeping. They can also generate data-rich reports that can be used to inform donors on the financial status of organizations. These facts lead us to the challenges that nonprofits face when it comes to accounting. There are three areas of concern — grant tracking, changing compliance rules and cybersecurity. Grant tracking, if not properly managed could lead to accounting problems. This could be brought about by the lack of donor communication or simple oversight. Meanwhile, cybersecurity threats have been plaguing nonprofits, who have become easy prey owing to their limited resources. Finally, changes in FASB accounting rules have also proved problematic for nonprofits, which by default, are already faced with complexities that come with the process. So how do nonprofit organizations resolve these problems? The answer lies in the use of accounting software providers but not the ones that most businesses employ. These tools, which are also referred to as fund accounting software are tailored for nonprofits while conventional accounting systems can be configured to serve the needs of nonprofits. They are capable of accepting online donations, grant tracking, compliance and even protecting against cyber fraud, features that nonprofit organizations badly need. However, the benefits you can derive from these tools can be further reinforced with sound financial management practices. These include expanding the role of finance staff to areas other than compliance, making sure that the whole organization is informed of your financial standing and maintaining a reserve fund for better stability. Many accounting software solutions lack the features to provide nonprofits with the right accounting tools to keep their finances on track. Here, we outline the best 20 accounting software for nonprofits. Ranking first in our 20 best accounting software for nonprofits, integrated accounting solution Quickbooks Enterprise is a robust platform targeted at growing organizations. This powerful system allows users to integrate everyday tasks like payables, payroll processing, and inventory tracking directly into their accounting process sans ERP implementation. It offers companies tailored solutions that can make most of their accounting processes much simpler and faster. The platform is loaded with enterprise-grade features that are bound to benefit any business or organization. The product’s accounting capabilities are designed to automate manual processes so that you get to focus on more important tasks. It gets rid of manual data entry in just about any area of your business, including accounting, inventory, and sales. You also get to enjoy compliance with industry reporting standards, along with insights that can greatly help you make decisions that are data-driven. The tools that accompany the system are highly-suited to different industries as the vendor can scale the system to meet any requirement. What makes Quickbooks Enterprise special is its ability to cater to the needs of nonprofits. The system generates receipts for donations, along with pledges that an organization receives. Its robust reporting features enable the solution to generate reports reflecting your biggest donors and grants and donor contributions. Expenses can be tracked with ease, helping you provide your donors, board and even the IRS with key figures. You can also find out total individual donors’ contributions. Quickbooks Enterprise is available in a variety of pricing models, starting at $990 per year. Cloud-based financial management and accounting software FreshBooks is targeted specifically at SMBs but is designed to benefit nonprofits as well. The software’s popularity stems from its ability to streamline organizations’ time tracking and invoicing processes. This flexible tool is not only ideal for growing companies but can also be used by freelancers who need to boost their sales as it comes in affordable pricing models. It can help them create custom documents as the system can modify colors and design and allows for the adding of logos. If you run a nonprofit, FreshBooks is just the tool for you. It helps you accelerate the donation process, which can greatly help your organization in its undertakings. It enables donors to send donations through a variety of online payment options that are not only convenient but highly-secure as well. This, along with its invoicing and tracking capabilities will ensure that your cause is better served. FreshBooks continues to receive upgrades that are bound to further benefit your organization. For instance, it has become a collaboration tool and now sports a more visually appealing dashboard that can generate even more customized invoices, which the system can track. Tasks can now likewise be prioritized, thanks to the tool’s time tracking capability, resulting in more transparent accounting, which is a must for nonprofits. Its search functionality has also received a facelift, along with the addition of multicurrency support. The platform comes with mobile apps that support both Android and iOS devices and integrates with third-party applications, including G Suite, Shopify, Stripe, and PayPal. These are but the key Freshbooks benefits; the app goes a long way in terms of ease of use and pricing. One of the many NetSuite features is an accounting module that is designed for nonprofits. This system is scalable, and therefore, suitable for businesses of any size. It can automate different business processes, including revenue, order, billing and inventory management, to name a few. The software can be used by virtually anyone in the organization, from top brass to rank-and-file employees, giving them total visibility into reports and KPIs. It effectively combines financial management and business intelligence, allowing users to drill down into data and come up with sound decisions. Its fund accounting tool NetSuite for Nonprofits is designed to help users manage all their financial processes. It sports numerous features that are sure to satisfy your accounting requirements while providing you with useful business capabilities. The tool effectively cuts costs, improves accountability and ensures accurate financial management for all types of nonprofits. This helps organizations keep their focus on their missions as they are freed from complexities that come with financial management and accounting. Whether your mission involves local or global communities, Netsuite for Nonprofits can help your organization survive and succeed in its missions as it allows you to maximize the potentials of volunteers, increase external support and help you secure revenue-rich projects. NetSuite for Nonprofits’ pricing details are not publicly available. You will have to directly contact the vendor and ask for a quote. However, you can easily sign up for a NetSuite free demo here and get to know the features firsthand at no cost and without commitment. Zoho Books also caters to nonprofits. It is a smart system that is easy-to-use and provides you with total control over your finances by helping you make sound business decisions. Key Zoho Books features include invoice creation and facilitating online payments so that you get to accelerate the payment process. The system is highly intuitive that you do not need to possess accounting experience to use it. It is easy to navigate as well with its simple but visually appealing dashboard, from which all needed accounting tools can be accessed. For nonprofits, Zoho Books’ capabilities have a lot to offer. It can manage contributions the way it does for businesses. It keeps a record of all your sponsors and the amount that they have contributed to your cause. In case you need to, you can also manage taxes associated with donations. All sponsors are automatically treated as contacts and are stored by the system and can be added to your account. You can likewise use the software’s invoicing capabilities, which can generate customized invoices according to your needs. Zoho Books is being sold in three distinct pricing plans, starting at $9/organization per month. The vendor has an appealing free trial where you can tinker with the features at no cost. You can sign up for the Zoho Books free trial here. Powerful accounting solution QuickBooks Online is designed for use by growing businesses and freelancers but can be configured for nonprofits. The software has become the go-to tool for many nonprofits for their accounting needs mainly because of its ease-of-use and integrations with popular third-party programs. Using the platform eliminates the need for nonprofits to invest in costly fund accounting systems, very ideal indeed if you are on a tight budget. The solution effectively mimics the functions of business accounting systems, all it takes is some tweaking. To customize QuickBooks Online to fit your nonprofit’s accounting processes, you will need to configure your account to treat customers as donors. This can be done by accessing the system’s account and settings. Another thing that you need to tweak is your income and revenue, which can be altered to reflect revenue and expenditures. You can also change the tax form to form 990, which is assigned to nonprofits. Now you can enjoy the benefits that come with using Quickbooks Online. You can monitor both revenues and expenses based on donor, service activity and project while populating the system with all your donors and subdonors, which is very helpful in establishing a contact database. This allows you to track donations and come up with reports that can be presented to decision-makers. Revenues from projects can likewise be monitored according to donor, giving you an idea who’s funding what. Quickbooks Online is being marketed under different pricing schemes, starting at $7.50/month. If you want to investigate the features closely you can easily do so when you sign up for a Quickbook Online free trial here. Designed specifically for small businesses, Sage Business Cloud Accounting is also suited to nonprofit organizations, helping them meet common accounting challenges. Its numerous features see to it that nonprofits get the ideal solution that can comply with the rules and standards governing their organizations. The software makes most complicated accounting processes fairly simple, getting rid of complexities arising from the simultaneous administration of numerous projects and the use of a variety of currencies. The system resolves these problems by effectively tracking all donations and expenses while supporting different currencies. You can find out more about the tool’s accounting benefits in our detailed Sage Business Cloud Accounting review. The program likewise stores all information relevant to transactions, helping nonprofits comply with standards. It provides transparency to all organization activities by giving them accurate and detailed data. This ensures total accountability, which is critical to keeping your stakeholders and donors engaged. The system’s powerful reporting tools enable it to generate reports that can be used in making data-based decisions. You can likewise boost your fundraising activities using Sage Business Cloud’s project tracking feature. You can check the solution closely when you sign up for a Sage Business Cloud Accounting free trial here. Expense monitoring and tracking app Zoho Expense brings the gift automation to all processes relevant to expense management. It automatically records all transactions and even converts your receipts into expenses, which can be used in report generation. The system is capable of capturing transactions conducted via credit card and convert them into expenses as well. It supports mobile devices, from which all expenses can be accessed and reports submitted. With Zoho Expense, you can be sure that you are spending according to organizational policies. All expense data can be monitored through the platform, with the system making data entry almost effortless with its drag-and-drop functionality. Find out more about the product in this Zoho Expense overview. To nonprofits, Zoho Expense offers numerous benefits that are sure to make expense management a bearable task. Expenses can be recorded automatically by simply uploading a photo of your receipt, wherever you are. Its project management features, meanwhile, enable you to properly plan program spendings, which can be reexamined as needed using the app’s analytics. Finally, nonprofits will surely appreciate the fact that the vendor offers them discounted plans. Very ideal indeed for organizations who are low on cash flow. Zoho Books comes in two distinct pricing schemes starting at $2.5/user per month. A free version of the app can also be availed by those who need only its basic features. If you want to check its comprehensive feature set you can easily sign up for a Zoho Expense free trial here. Zoho Invoice is a robust accounting and invoicing software that can serve both businesses and nonprofit organizations. The product is used primarily in invoice creation and management but also sports very useful accounting features. Using the solution you can manage and track invoices and even share the same–all from a single dashboard. It allows you to monitor all transactions while being able to generate and send out invoices in different currencies and languages. Its simple interface makes the platform easy to use, eliminating the steep learning curves that usually come with such systems. The software enables nonprofits to send invoices in a moment’s notice and even automates the generation of invoices that are recurring. Donations can be accepted both offline and online so that organizations can better focus on their cause without having to worry about receivables. Nonprofit organizations are known to manage huge amounts of expenses. Zoho Invoice helps address this by allowing for invoice tracking so that users are constantly updated regarding expenditures. Mission time can likewise be tracked using the app’s time tracker and projects added to the system with time spent on them tracked individually. These are just the main benefits, there are more Zoho Invoice features that you may find appealing. Zoho Invoice is available in a variety of pricing plans, starting at $9/organization per month. For those who need only its basic features, a free version is available. You can easily sign up for a Zoho Invoice free trial here. Invoice Meister is a feature-rich accounting solution that allows both businesses and nonprofits to manage revenues and expenses so that your accounts are properly organized. If you are running a nonprofit or working for one, the tool is bound to suit you. It is easy to set up as the system is very intuitive. And because it’s deployed via cloud you can access the system in real time, from anywhere. You can use the system to automatically generate recurring invoices using predefined templates, saving you both time and effort in the process. It also has powerful reporting features, allowing for efficient expense tracking and detailed financial reports. Donations can likewise be tracked with the system automatically sending out notifications about unpaid or recurring invoices. Security is topnotch, with the vendor performing automatic backups and employing bank-level protocols. The vendor offers prospective customers a variety of discounts. These include a 50% discount for the academe and those who work for nonprofits. When purchased with MindMeister, a 30% discount is in the offing. There are a bunch of Invoice Meister pros and cons, but it’s up to you to decide it the platform is right for you. You can also easily sign up for an Invoice Meister free trial here for a closer look at this software. Created to serve nonprofits, accounting tool Sage Intacct combines the features of Sage and Intacct, delivering accounting and financial management functionalities–all from the cloud. Sage Intacct helps nonprofits who deal with different currencies, tax jurisdictions and legal entities by combining activities and transactions across your organization. It is also able to handle multiple donors and grants from different locations, all it takes is a click of a mouse to close deals. The software has fund accounting features that can help nonprofits manage donations and grants from different sources. It segregates revenue streams, making it easy to inform donors on the status of their investments. One of the many Sage Intacct benefits is that it allows you to create statements of activities, cash flow and financial position anytime you need them, providing you with a clear view of the grant lifecycle. Total control over your cash management is also achieved using the platform as it can manage budgets for campaigns, events, and fundraisers. This capability results in tighter cash control, helping you avoid unanticipated outcomes. You likewise get to make your organization transparent to all stakeholders, which is critical to securing and retaining sponsors and donors. Reporting is also made easier and more accurate using the tool so that you can inform your board on how your organization is faring. The vendor does not publicly disclose Sage Intacct’s pricing information. You have to contact them and ask for a quote. Accounting tool Xero has grown in popularity among small business, offering robust tools that are designed to meet the requirements of growing companies. If the software can work wonders for businesses, nonprofits will find it a boon that can help them resolve their accounting headaches. It is able to record and track grants, expenses, donations, and even volunteers, allowing organizations to keep their missions on the right track. It likewise excels in helping nonprofits to be more transparent with board members, donors, and volunteers, allowing them to keep their trust and their cash flows in the process. Xero enables organizations to share financial data with stakeholders, quickly and accurately. Accounting for donations and expenses is streamlined, making it easier so that you can stay better focused on your missions. The system likewise helps in processing payments, invoicing and payroll to help you maintain healthy relationships with both your sponsors and employees. And because it harnesses the power of the cloud, you can access your accounting information even on the field. Xero integrates seamlessly with many business apps so that you get to enjoy additional functionalities in a single solution. But the best part is that the vendor offers a considerable discount to nonprofits, perfect for organizations who lack cash flow. Get to know more about the software by reading this Xero overview. Xero is being sold in three distinct pricing modules, starting at $20/month. Wave is a powerful solution that has enterprise-grade features, which can greatly benefit nonprofit organizations. It is a combination of invoicing, accounting and receipt scanning tools and is highly suitable for small teams. An easy-to-use platform, Wave has a dashboard that can be navigated with ease, where all needed accounting tools are within reach. It makes accounting processes such as invoicing, payment processing and tax preparation faster and more accurate as it employs state-of-the-art automation technology. However, the best attribute of the software is the fact that it comes for free, making it ideal for nonprofits who lack resources. For nonprofits to explore the system’s features, all that is needed is to make minor tweaks to its configuration. For instance, charts of accounts can be created to handle donations, grants, expenses, and other accounting items. The same goes for other processes such as invoice creation and distribution. These Wave benefits and more will surely make you consider using the solution. Accounting app Financialforce is a cloud-based solution that is popular among nonprofit organizations around the world. It is essentially a one-stop shop for all nonprofits’ needs, helping them in the management of their projects, staff, finances, programs, fundraising, and communications. Using the software, you can move your back office processes to the cloud, a great way to boost your organization’s performance. It can also help you keep your focus on your missions as you do not have to spend most of your time syncing data and processes. Financialforce also keeps your projects on the right path while providing you with better control over your expenditures. This is achieved by allowing you to find people with the right skill sets, collaboration support, accurate project completion times and spending figures. And since it is cloud-deployed, you get to sustain connectivity with your teams with the use of mobile devices. But that’s not all, stakeholders likewise get to benefit from the system as they are given a full view of how projects are performing. This way, you get to have quicker approvals while retaining donor trust. Our comprehensive review of the software will provide you with more detailed Financialforce features.  Financialforce is being sold on a price quote basis. You need to contact the vendor and ask for pricing information. Feature-rich application AccountEdge is a nonprofit tool that runs on Windows and Mac. Although designed for desktop computers, the app also has a cloud version called AccountEdge Connect so that you can access the system even while on the go. Nonprofits stand to benefit from the numerous features that accompany the tool. Using AccountEdge, you can accept donations, record them and even track newly received contributions. It can be configured to schedule one-time or recurring donations, on a monthly, quarterly or annual basis. For taxation purposes, you can issue donation receipts using the system, email or print them directly from the dashboard. All nonprofits generally face problems when it comes to recording expenses. AccountEdge can do this for you by tracking your expenditures by category. It is also a payroll administration solution, allowing you to manage your staff’s salaries, deductions and taxes. You also get to track critical payroll data and print checks while you’re at it. To maintain relationships with your benefactors, the product lets you keep donor information and even set reminders in case you need to contact one at a specific time. Aside from these, you can explore more AccountEdge features by reading our detailed review. AccountEdge is being sold for a one-time fee of $399 with licenses sold separately. Designed for nonprofit organizations, cloud-based solution ZipBooks is known for its ease-of-use. This accounting software is highly intuitive and can be used by those who are not technology-savvy. It offers all the accounting functionalities a nonprofit could ever need to perform tasks such as recording expenses, generating expense reports, accepting donations and more. All of these can be performed from the comfort of your desktop or mobile device. With the solution, you can significantly speed up payment as it lets you send online invoices. You also get to track all your cash flow from virtually anywhere. ZipBooks is offered free of charge for nonprofits. This way, you do not need to spend donor funds on costly accounting platforms. This free nonprofit accounting software has lots of features that can help you better manage your finances, which include balance sheet updating, robust reporting, time tracking and emails and invoices that are fully customized. Another one of ZipBooks benefits is its support of collaboration, allowing you to work with your contractors, staff, and accountants, significantly improving financial outcomes. To make things better, the vendor also provides services such as tax preparation, payroll, and bookkeeping–all at a low cost, enabling you to spend more time on more important matters. For more features you can purchase ZipBooks in different pricing models, starting at $15/month. Fund accounting platform Aplos is designed to cater to nonprofits and churches. It helps organizations by providing all their accounting requirements. It is being sold either as part of an integrated suite or as a standalone program. The suite comes with loads of functionalities, including donation management, online donation processing, and church management. The system enables users to effectively track all their financial information and transactions all from a single dashboard. The platform is known for its simplicity, but don’t let this fool you. It is a powerful system that has grown in popularity among accountants and bookkeepers. It brings to the table robust features like reporting, financial forecasting, and budget management. Using the software, you can create custom charts of accounts that you can use for recordkeeping purposes. It also allows you to create an income account, in which revenue from grants and contributions may be kept. You can categorize incomes by source. For budget management, meanwhile, you can create projections for individual annual incomes. You can learn more about the platform by reading our detailed Aplos review. Aplos is being sold under three distinct pricing schemes, starting at $25/month (billed annually) or $30/month. Free software SlickPie is a product specifically targeted at nonprofits, allowing such organizations to get on top of their accounting processes without spending a fortune. All system features that are available to SMBs and freelancer can be enjoyed by nonprofits and more. Notable functionalities include online billing and invoicing, reporting, document uploading, and bank reconciliation, to name a few. It comes with automation apps that are bound to save you time and effort and give you more time to work on your missions. With the solution, all accounting information is automatically entered using its automated data entry tool. And since SlickPie is an online platform, it can be accessed anytime, anywhere. If you want to know more SlickPie pros and cons, check out our comprehensive review of the software. SlickPie can be bought in a single pricing plan of $19.95/month. For those who need only basic functionalities, a free version is available. Created specifically for nonprofits, Abila MIP Fund Accounting helps leaders, staff, and managers in handling just about every aspect of their finances. The tool has the ability to streamline processes such as grant management, accounting, and fund management, allowing nonprofits to attend to more pressing matters. Its financial management features can handle everyday tasks like budget analysis, planning, financial grant optimization, and reporting. Organizations can create their very own accounting database using the platform’s recordkeeping and accounting modules while automating the creation of balance sheets and financial statements. Abila helps you get a handle on your finances by giving you a clear view of management practices so that you can implement changes wherever they are needed. It likewise tracks your cash flow, budgeting, expenses, and requirements, boosting accountability. In addition, the system also functions as a payroll administration tool, allowing you to create and manage payroll accurately and on time. You can store payroll information within the system, enabling you to comply with tax rules and regulations while significantly improving human resource management. Abila MIP Fund Accounting pricing is not publicly disclosed. You have to contact the vendor and request for a quote. Another accounting solution for nonprofits worth looking into is CYMA, a powerful platform that is made up of separate modules. While created for nonprofits, the software is capable of complex business accounting requirements which you can leverage to your advantage. Users have a variety of accounting modules to choose from, depending on their needs. These include general ledger, accounts payable and receivable, job costing, bank reconciliation, and billing, among many others. For nonprofits, the solution’s project tracking module will aid them in monitoring the progress of their projects. The app’s general ledger tool can drill down into the transaction level of any general ledger account. Budgets can be audited and revised as needed, thanks to the system’s advanced budgeting functionality. You can import transactions en masse. It is also capable of reporting with over 50 financial statement and general ledger reports accompanying the system. The software can integrate with most third-party applications. If you choose to, you can even add an infinite number of fields, which can likewise be tracked by the system. With all these CYMA features, it’s hard to ignore the benefits that it can give your organization. Pricing information for CYMA is not available on its website. You have to contact the vendor and request for a quote. Accounting Seed is a feature-packed online accounting solution that is natively built on the Salesforce platform. It is used across a vast range of industries, including non-profits. This platform is well-regarded by businesses as an intuitive and powerful solution that can effectively solve various accounting tasks with ease. It touts features for handling core accounting processes such as payment acceptance, customer billing, bank reconciliation, order management, and dashboards & reports, among others. With Accounting Seed, all your teams can work at ease knowing that they are working with a single version of the truth. This is made possible by its rich integrations with various business applications. Moreover, being natively built on the Salesforce platform, it is able to smoothly integrate with Salesforce products. Accounting Seed features powerful automation capabilities as well, helping users easily resolve work concerning their billing, sales tax, account tracking, and others. Accounting Seed starts at $250/month and costs an extra $50/month per additional company. And there you have it our 20 best accounting software for nonprofits. By this time should be able to find the right accounting platform for your nonprofit. It is highly recommended that you start with QuickBooks Enterprise first, then compare the other solutions to find out how they match against our top choice. This is possible without costing you when you sign up for a QuickBooks Enterprise free trial first. However, if the budget is really tight, don’t go away, read our article on the best free accounting solutions. It will guide you in your search for great tools that don’t impact on your bottom line.